The Bureau of Medical Cannabis Regulation (BMCR), or the Cannabis Bureau, currently has a very difficult task—setting up regulations for medical cannabis dispensaries under the Medical Marijuana Regulation and Safety Act (MMRSA) since it was passed in 2015. 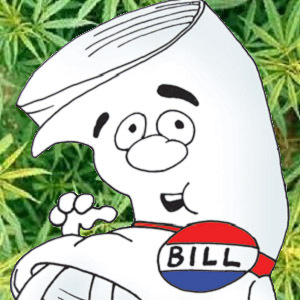 As if the monster three-part bill wasn’t complicated enough, along came Prop 64, or the Adult Use of Marijuana Act (AUMA), to add even more regulations to work around. Now, there are dozens of cannabis bills moving through the state’s legislature as well. If you wish to participate but can’t attend one of these upcoming meetings, follow these instructions to get involved. Bonus: [thrive_2step id=’2687′]Download a free PDF[/thrive_2step] that details each of the 27 new cannabis bills that are being proposed right now (2017) in our state’s leglislature. The next update will contain an analysis of their proposed rules in relation to the legislature’s proposed bills. Meanwhile, here are the legislature’s proposed bills that’ll likely affect the development of these draft rules, if and when they pass. Clarifies that edible marijuana products will be considered appealing to kids if they’re made in familiar shapes (people, animals, fruits, etc.) or easily confused with regular candy. But it wouldn’t prohibit a company from making edibles in the shape of their logo. It’s passed the Assembly and is currently moving through the Senate. All edibles packaging will be reviewed by the Cannabis Bureau to ensure compliance with state law before the product can be released on the market. Requires solid edible marijuana products to be divided into standard serving sizes if they contain more than one serving. Each single serving edible must be stamped, marked or imprinted with a symbol, designed by the Cannabis Bureau, directly on the edible. It also calls for edibles to be sold in tamper-proof, child-resistant packaging that, if containing more than one serving, must be resealable. Prohibits all marketing of cannabis using branded merchandise. It states, “A licensee shall not advertise medical cannabis or medical cannabis products through the use of branded merchandise, including, but not limited to, clothing, hats, or other merchandise with the name or logo of the product.” Author’s note: this includes slinging schwag at trade shows. Requires odorant be added to butane gas, preventing it from being used to make butane hash oil. This has been stuck in the Committee on Business, Professions & Consumer Protection for over a month and a half now. Intends to prevent California’s law enforcement from cooperating with federal authorities attempting to prosecute people acting in compliance with California state law. It even prevents agencies from detaining individuals at the request of federal authorities for cannabis related conduct considered legal under state law. But there’s a caveat: law enforcement could cooperate with federal authorities if they obtain a court order. It’s zipping through the Assembly right now, and has been referred for a third reading. Encourages the federal government to remove cannabis’ Schedule 1 narcotics status. It’s passed through the state Senate and is now waiting to move through the Assembly. Allows businesses to test their and other cannabis products on-site for quality assurance. Test results won’t be certified by the Bureau of Marijuana Control and such tests won’t exempt the licensee from quality assurance testing by a licensed lab. It’s passed through the Senate and is now moving through the Assembly. This simply reinforces the requirement that any advertisement for medical or recreational cannabis must include the state issued license number of the person responsible for the ad. Clarifies prohibitions on labeling cannabis products as from a certain county unless the cannabis itself was actually grown in that county. This would also expand prohibition to cannabis products’ advertising in order to prevent manufacturers from misleading consumers about a product’s origin. It’s passed the Senate and has now had its first reading in the Assembly. Allows payments (fees, fines, taxes, etc.) to be made by means other than electronic transfer, including cash payments of substantial amounts (tens of thousands). It’s been put in the suspense file by the Appropriations Committee. Prevents conflicts of interest when hiring cannabis industry employees. Anyone who serves the state in creating or administering cannabis licensing rules would be barred from employment by state licensed cannabis businesses for one year. While violating this rule wouldn’t be deemed criminal, those who break it could permanently lose their state license. It’s passed through the Assembly and is now in the Senate pending referral. Allow licenses under the Medical Cannabis Regulation and Safety Act (MCRSA) to be for-profit or non-profit dispensaries and limits protections granted to for-profits only to those with a Board of Equalization (BOE) seller’s permit and a valid license or permit. Allow licensed dispensaries to be storefront or non-storefront locations. Clarify restrictions on micro-business licensing. Expand billboard ad restrictions to prevent advertising on interstate and state highways. Establish the state’s assessment that a license application be deemed compliant with local regulations, unless the jurisdiction provides a written or electronic notification stating otherwise. Establish separate parameters for those caught driving under the influence of cannabis than those for other drugs. Make carrying cannabis in a vehicle punishable by a $100 fine, unless properly stored. Allow unspecified sums for enforcement against any cannabis activity deemed to be in violation of state law. It’s currently in the suspense file of the Appropriations committee. Clarifies the lawyer-client privilege regarding the communication of cannabis business activities. It’s passed the Assembly and is now in the Senate. Requires applicants for state licensing to employ, within one year, an employee who has successfully completed an OSHA 30 hour general industry course. Would require a person to demonstrate three years of continuous California residency prior to the application date before being issued a license under either AUMA or MCRSA. Requires the Commissioner of the California Highway Patrol to appoint a drugged driving task force chairperson to develop recommendations for best practices addressing drugged driving. The task force will also examine the use of technology and field testing to identify drivers under the influence of drugs. It’s passed the Assembly and is now in the Senate. Renames the cannabis research provided for in Prop 64 as the Center for Cannabis Research and recommends that the Bureau of Marijuana Control consider selecting the University of California to be the public university funded to research and evaluate the program. It’s passed the Assembly and is now in the Senate. Requires testing for uniform distribution of cannabis concentrates through edibles in addition to the other testing requirements already established by the MCRSA and AUMA. Requires the Cannabis Bureau to establish a web site educating the public about cannabis regulation. It’s passed the Assembly and is now in the Senate. Establishes specific additional penalties, including fines and jail time, for violations of taxes and fees regarding cannabis commerce and issues a stamp tax for cannabis products. Simply transfers the regulation of testing laboratories under AUMA from the State Department to the Bureau of Marijuana Control. Prohibits possessing, smoking and ingesting medical marijuana around schools, day care or youth centers as specified, regardless of whether children are present. Allows exemption from the state’s mandate that tax payments over $20,000 be submitted via electronic funds transfer. There are already stiff penalties for people who violate provisions protecting fish, wildlife, water and other natural resources while producing or cultivating a controlled substance. If these protections are violated, the individual(s) could face civil penalty in addition to any penalties imposed by any other law. Each day a violation occurs or continues, on public or private land, while the person was trespassing is a separate violation. It’s also a misdemeanor to divert water for unlicensed cannabis cultivation. Establishes the parameters for using small irrigation stream beds during high water flow and restrictions during low water flow. Requires a person or entity selling any quantity of butane to record specific information about the transaction, including the purchaser’s identity, and to retain that information for two years. The bill would also prohibit anyone, unless specifically exempted, from purchasing more than 600 milliliters of non-odorized butane within a 30-day period. Author’s note: for reference purposes, an eight ounce container of butane for your Zippo contains 237 milliliters.